Join us for a morning aimed at providing you with a means to develop a history of your Garden Home house, your street or your local neighborhood. 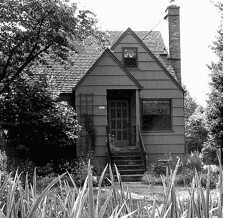 Provided by THE GARDEN HOME HISTORY PROJECT and THE GARDEN HOME COMMUNITY LIBRARY, the morning will include tips on where to get information on your property followed by a tour of local Rummer Homes. The tour of Rummer homes is only available for those attending the workshop. 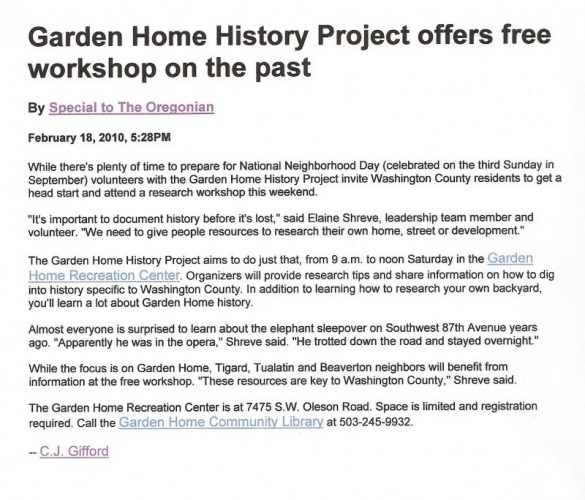 There is no cost for the workshop or the tour but participants must register by calling the GARDEN HOME COMMUNITY LIBRARY, 503-245-9932 by February 17th. Contact Virginia Vanture, 503-245-1511 or Elaine Shreve, 503-246-587. This entry was posted in Events, Homes, News and tagged Event, Rec Center. Bookmark the permalink.